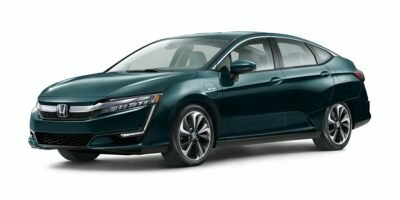 This Honda Clarity Plug-In Hybrid boasts a Gas/Electric I-4 1.5 L/91 engine powering this Automatic transmission. Wheels: 18 Hybrid Aerodynamic Alloy, Wheels w/Silver Accents w/Half Wheel Covers, VSA Electronic Stability Control (ESC). *This Honda Clarity Plug-In Hybrid Comes Equipped with These Options *Valet Function, Trunk Rear Cargo Access, Trip Computer, Transmission: Single Speed Fixed, Tires: 235/45R18 94V, Systems Monitor, Strut Front Suspension w/Coil Springs, Speed Sensitive Variable Intermittent Wipers, Spare Tire Mobility Kit, Single Stainless Steel Exhaust. * Stop By Today *Stop by Ide Honda located at 875 Panorama Trail South, Rochester, NY 14625 for a quick visit and a great vehicle!